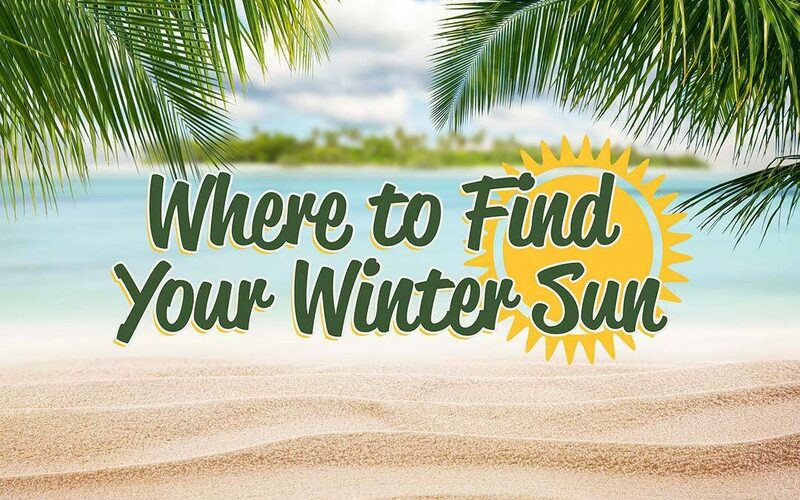 Whether you didn’t get a chance to go away over summer, fancy a change for Christmas, or just can’t wait to jet off to somewhere exotic, this winter why not book a winter sun holiday? We understand that the excitement of a holiday often means you forget the importance of travel insurance, so here’s a little reminder for you to protect your trip and not to leave your travel insurance to last minute. This is a long journey but it is worth it! The people are very welcoming and there is so much to learn about this country including the Mayans along with the rest of the amazing history to explore. There are so many places to visit and plenty of wonderful markets to see. Plus the sites to visit are just so beautiful. Marvel at the stunning views from the hotels or discover the breathtaking beaches. This has to be on your top 5 places to visit this winter!! This is a city known for its luxury shopping, great nightlife, and ultra-modern architecture. With beach front hotels of up to 8* ratings it really is a luxurious break. You can be certain to be treated like royalty when you visit, with the fine dining, personalised service and high end resorts that cater for your greatest desires. There is so much to explore when you are there; such as the Grand Mosque, the Gurunanak Darbar Sikh Temple and even a water park! On top of this there is also a wide variety of elegant beaches to relax in. This range of islands offers a wide range of activities and history as well as a varied geographic features. Amazing when you think how close they are to one another! Although it is not as long a flight as some on this list, it offers so much to do and see; from surfing to golf, as well as volcanoes and wide range of shops and cafes. These beautiful islands will offer you an amazing experience! The only thing left to do now, is decide which one you want to visit. With tropical beaches, ancient ruins and elaborate palaces, this is definitely worth the timely travel. Whether you want to relax to a traditional massage, explore the shops and do some shopping, or even explore the historic buildings, this island has something for everyone. You may even get to ride an elephant!! There is also a wide variety of cuisines to try, along with excellent bars and restaurants to enjoy. Plus why not spend your evenings relaxing in these restaurants or the hotel where you can enjoy a delicious meal, after a long day exploring this fabulous country and watch the stunning sunset overlooking the sea. With temperatures up to 20c this really is a winter sun destination without travelling too far. On the edge of the Mediterranean, this country is known for a large selection of beaches, wild exotic birds and stunning turtles. Alongside this, there is everything from byzantine churches to wine routes across the mountains and if you do your research may even get to partake in some of the local festivals. Although it is on the boarders of Egypt and Syria, this is a safe place to visit and receives over one million visitors each year. It is a stunning place to visit and has to be on the top 5 winter sun places to visit as this area is beautiful and offers so many things to do and see. Ensure peace of mind! Make sure you have travel insurance. Get a quote today with GoSkippy travel insurance.